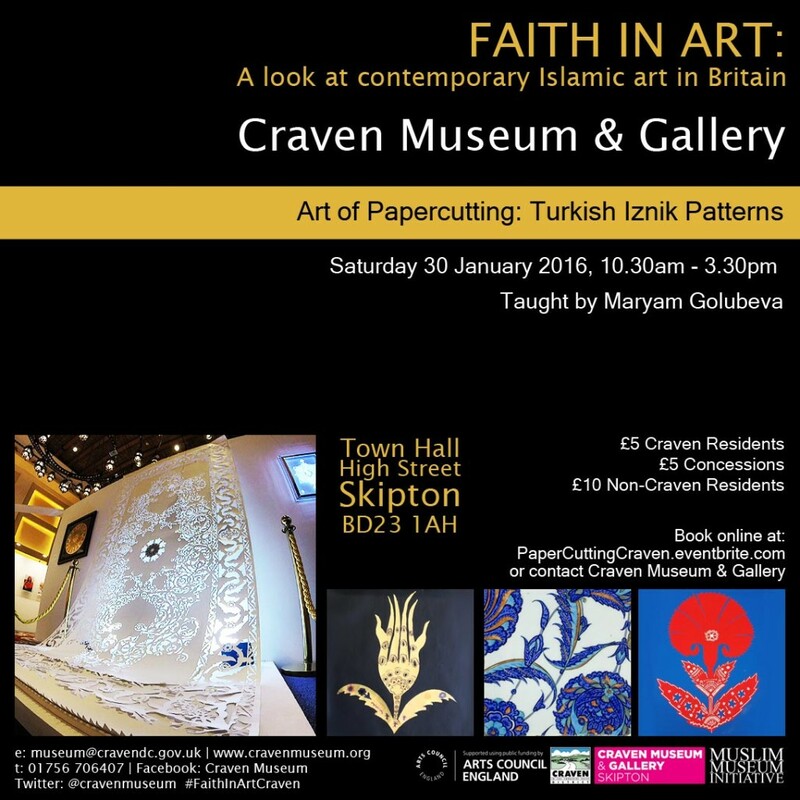 Working with Craven Museum and Gallery – Muslim Museum UK – Uncover the 1400 year relationship between Britain and Islam. Explore the history and heritage of Muslims in Britain. 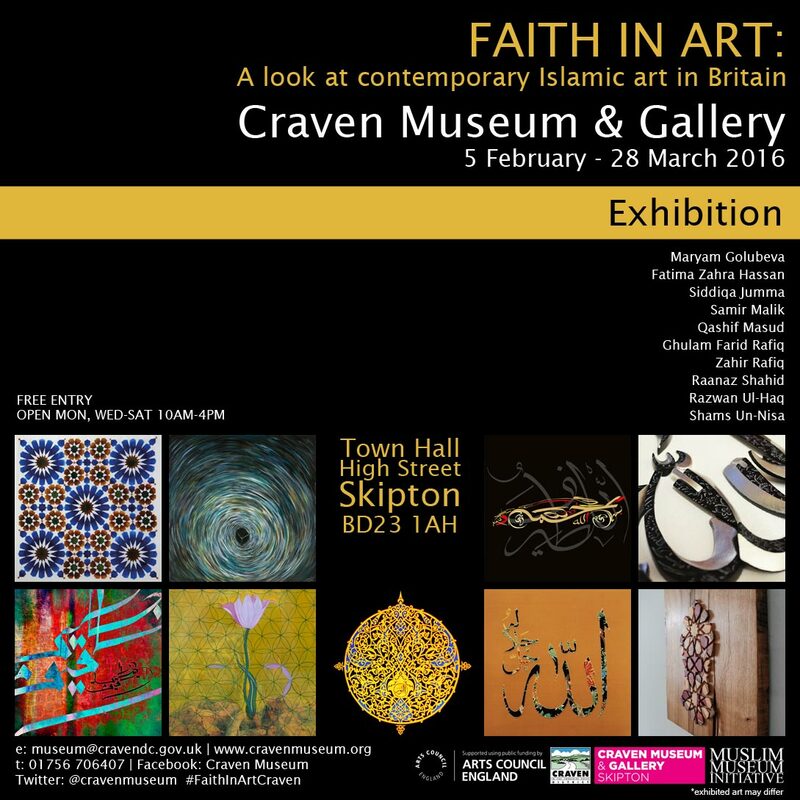 The Muslim Museum Initiative is proud to announce that we are working with Craven Museum & Gallery on their Arts Council England funded ‘Museum: Indispensable’ project. 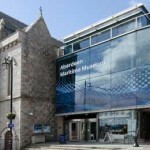 The MMI will be providing expertise and advise, along with arranging various workshops to engage the wider community – these include a 5 week intro to Arabic calligraphy course, a papercutting workshop specialising in Iznik patterns, arts sessions for a local school and a semi-permanent mural for a peace garden. We will curate an contemporary Islamic art exhibition featuring some of the most exciting British Islamic artists. 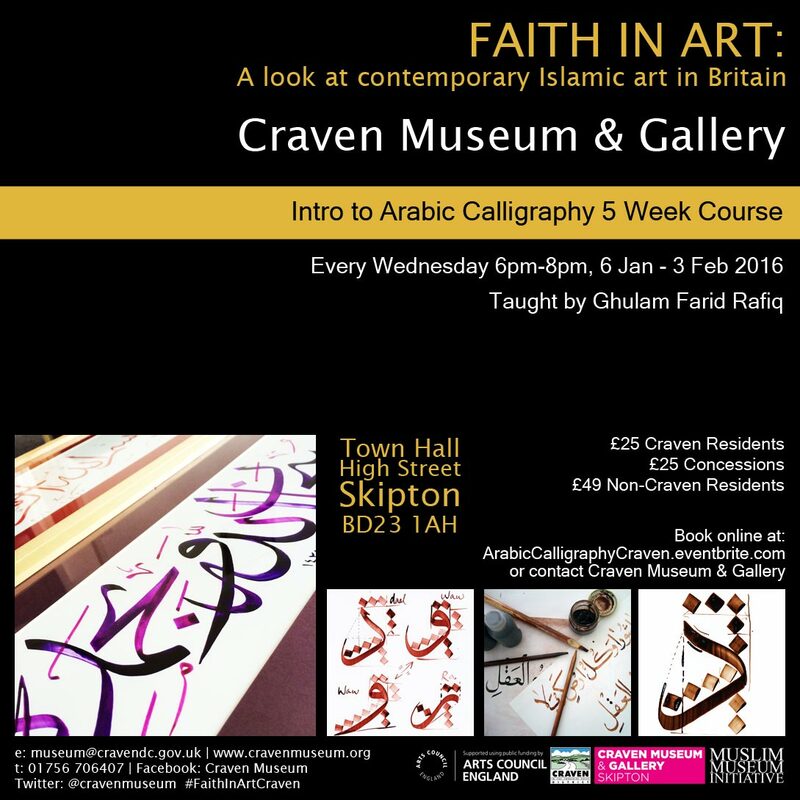 Click here for more information on the Intro to Arabic Calligraphy 5 Week Course. Click here for more information on the Art of Papercutting: Turkish Iznik Patterns Workshop. For more information on the Faith in Art Exhibition please click here. The programme is part of an ongoing commitment from Craven District Council to turn Skipton Town Hall into a vibrant cultural centre.